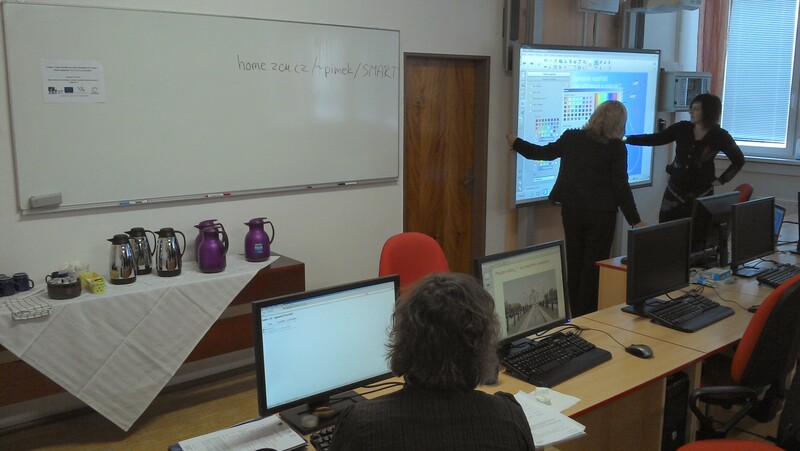 The West-Bohemian city of Cheb hosted another workshop for lecturers in adult education on how to use interactive boards in teaching both effectively and efficiently. A focus group of teachers from all around the region of Karlovy Vary (Carlsbad) gathered to learn more about methods of interactive teaching and to discuss pros and cons of using new technologies in adult education. The outputs of the project (4 methodic guidebooks) will be available for all regional lecturers in adult education in 2014. More info on the project: http://vzdelavani.fmconsulting.cz. The project is co-funded by ESF and the Czech Republic. Previous:Good news from Europe on-line!